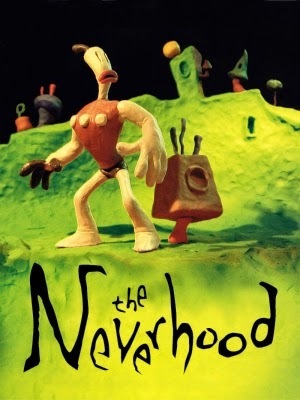 There is a game called The Neverhood, released far back in the mists of time (1996, to be exact.) It's a claymation point-and-click adventure, in which our hero, Klaymen, wakes up alone in an empty world, and must solve puzzles to discover the truth of this abandoned paradise. It is simply fabulous. Anyway, one building in the Neverhood contains the Hall of Records. Its walls tell the story of Quater, a supreme being, who fashioned seven sons, and gave each the power of creation. The second of Quater's seven sons was Bertbert. Who begat Bickback. Bickback was thin for his age and his peers mocked him for the purple and green skin splotches that covered his body. Once a large crowd of descendants of Bertbert had formed, poor Bickback was made to sit in the back. Bickback lived a happy life; he wed Phyllis, a demure little lady, also from the back of the crowd. Who begat Mak Mak, who fashioned a two-sided being which included both genders, male and female, one on either side. It was a colossal being named Mammur who was very proud indeed. Ehp's own creation came out looking like a pile of something badly burned, so he named it, "Uh Uh." Uh Uh was not alive, so it could not beget anything. Thus ends the lineage of Bertbert. So maybe you can already tell where I'm going with this. About how (for example) The Lord of the Rings begets Dungeons & Dragons, which begets the Dragonlance Chronicles and Forgotten Realms, which begets R.A. Salvatore's Dark Elf Trilogy, which feeds in to fantasy MMOs like EverQuest and Neverwinter Nights, and before you know it, everybody's in on the action. And then, of course, there's the glut. Millions of people grow up reading about / watching / playing as elves and dwarves and short plucky people, so hundreds of thousands of people write about them, and thousands of people with really pretty good stories end up getting rejected over and over again because Legendary Swords Are So Done, and Sorry, We're Full Up on Chosen Ones, and NO ELVES EVER. It's not that NOBODY can spin that yarn anymore - but like tyrannosaurs stomping through the jungle eating over-ambitious tiny mammals, the big-name established apex predators of the genre are now dominating it so thoroughly that it becomes really hard for any new voice to grow to comparable size. Effectively, the genre conventions become an albatross around your neck: you may succeed, but if you do, it will be IN SPITE OF your graceful Aryan elves and axe-wielding beardtacular dwarves, and not because of them. it's that you really can have too much of a good thing. And that is a shame. Because it means that we are probably missing out on a lot of pretty kickass stories. I'm not totally sure how we get around that. But my eye is still drawn to that phrase from gen-three Bertbert up above: having no point of reference but himself. If all we ever read is fantasy, how can we bring anything new to the fantasy genre? If all we ever read is romance, or lit-fic, or thrillers, how can we contribute anything but more taut abs, dysfunctional Appalachian childhoods, and troubled badasses running from checkered pasts, respectively? Anyway, I don't mean to sit here and act like I've got it all figured out or anything. But when we sit down to write fiction, I do think it's worth considering where the book will fall in your chosen genre's genealogy - you know, what its "begats" are, and how many distinct ancestors it really has. Because having a diverse gene pool is probably at least as important for a thriving literary culture as it is for Tasmanian Devils not going extinct from contagious face-cancer. And for fictional clay dynasties, natch. Companions are chosen for you by the Management. You will normally meet them for the first time at the outset of the Tour. 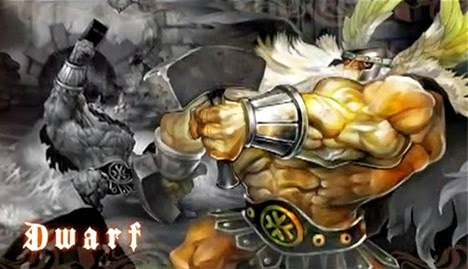 They are picked from among the following: BARD, FEMALE MERCENARY, GAY MAGE, IMPERIOUS FEMALE, LARGE MAN, SERIOUS SOLDIER, SLENDER YOUTH, SMALL MAN, TALENTED GIRL, TEENAGE BOY, UNPLEASANT STRANGER, and WISE OLD STRANGER. As I write I look at how my story relates to others I have read or heard about. It's terribly hard to come up with something that hasn't been written about yet. I suppose looking for an alternate twist to a familiar storyline may help some but I still crave that original storyline. Have I found it? Not yet but I do have some decent twisters. Well, you know what they say - nothing new under the sun and all that. But I really think you can do a lot just by mixing old flavors into something new. Let's hear it for beefy cheesy chili mac! I enjoyed this post, Tex. I write for me, from my imagination. I'm an avid reader, but not a mainstream (bestseller's list) reader. I read as the mood moves me and as my taste, in the moment, dictates. So on any given outing to the bookstore I can easily avoid the rut, preferring to take the unbeaten path, as it were, which leads me to all kinds of interesting reads. Truly, you are the Queen of Words - you can mix and recklessly abandon to your heart's content so long as you keep writing!